Two weeks ago we penned Gold Bear to end with a Bang, and noted the increasing probability that precious metals could be headed for a plunge to new lows ahead of a final major bottom. Two weeks later we continue to hold that view. The forthcoming charts present levels at which the more than two year old cyclical bear market could end. At the least, these support levels can provide a point at which short positions and hedges could be liquidated. 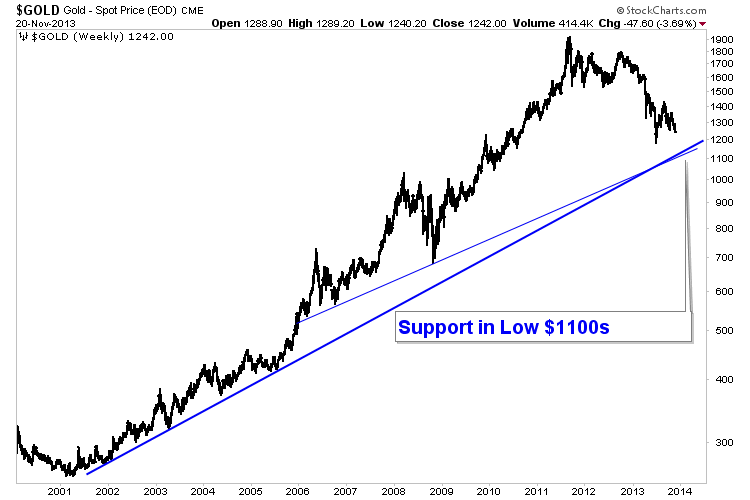 The chart below shows that Gold has major trendline support just above $ 1100. Also note that the 50% retracement of Gold’s entire bull market is $ 1087. Keep these strong targets in mind. 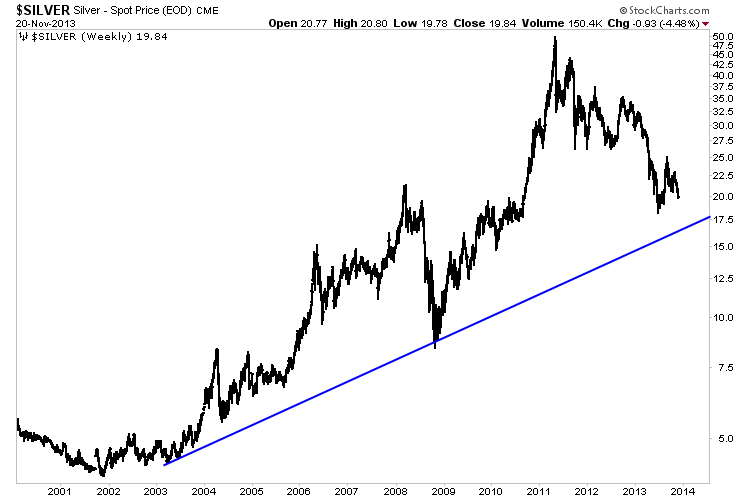 Like Gold, Silver has major trendline support which could come into play in the coming days and weeks. Keep an eye on $ 17. Silver is currently underperforming Gold so pay more attention to Gold. It’s the “granddaddy” of the sector as some like to say and the most important component of the precious metals sector. 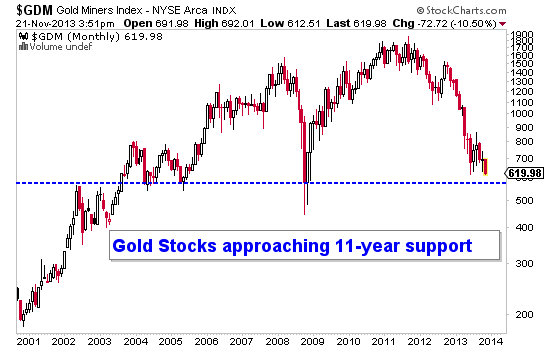 Meanwhile, gold stocks are approaching what amounts to be nearly 12 years of support. The GDM index below, is the forerunner to the GDX ETF. Don’t be fazed if the metals and the shares make new lows. As you can see, the precious metals complex has very strong support nearby. Ignore the financial media and mainstream thought and get yourself in position to take advantage of this bottom. It’s the very smart money that is looking forward to buying this bottom. I suspect the coming bottom will be the one the typical huge rebounds originate from.